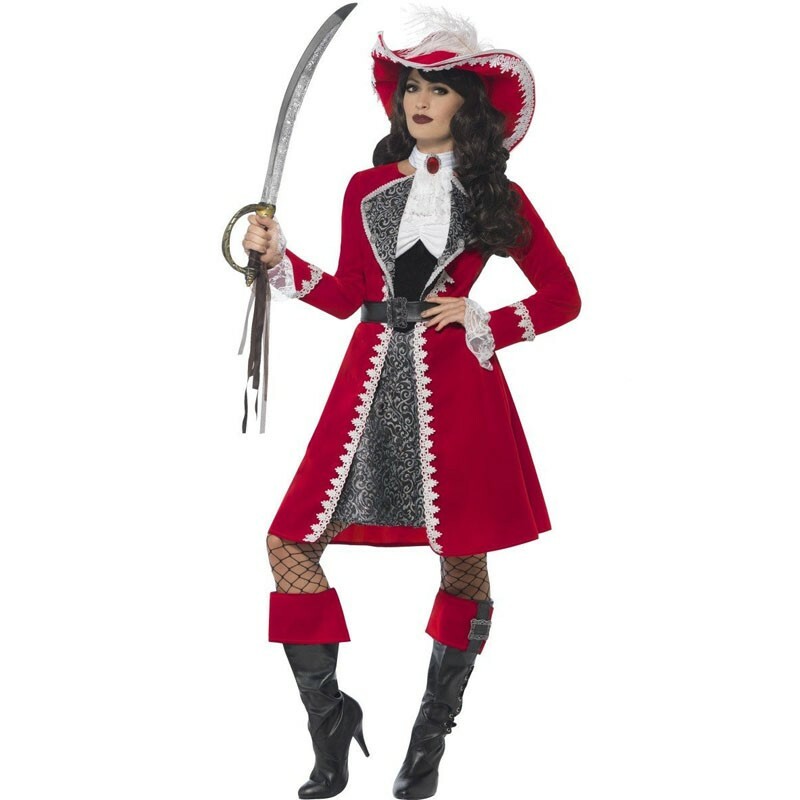 The Deluxe Pirate Costume comes complete with the Long Black Patterned Dress along with the Fitted Red Dress with the attached Buttons and Matching Patterned Lapels. The Jacket also includes the Frilled Cuffs. Completing the Pirate Captain Outfit is the Matching White Frilled Neck Time with the Red Jewel in the Centre and the Black Lace Up Boot Covers with Red Buckled Tops. Small 8 - 10 32" - 34" 24" - 26" 36"
Medium 12 - 14 34" - 36" 26" - 28" 37"
Large 16 - 18 38" - 40" 30" - 32" 38"
X-Large 20 - 22 40" - 42" 32" - 34" 38"